4k00:10SHIRAZ, IRAN - MAY 3, 2015: Exposed spices with prices in the store on the Vakil Bazaar, is located in the old city centre. 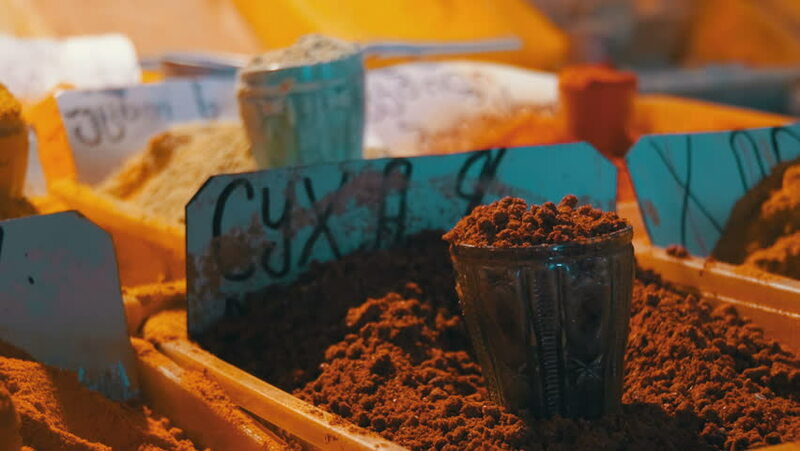 4k00:18Acre, Israel - April 3, 2018: Stabilized footage of sack of various oriental spices at a spice shop in the old city market of Acre. 4k00:14close up of male hand clean forest mushroom chanterelle at the wooden table in village yard. 4K UHD video clip.